We have three types of rooms namely Deluxe, Super Deluxe and Junior Suite. With an elegant design and minimalistic decorative presence with an ample living space the hotel offers the best in class for its guests. 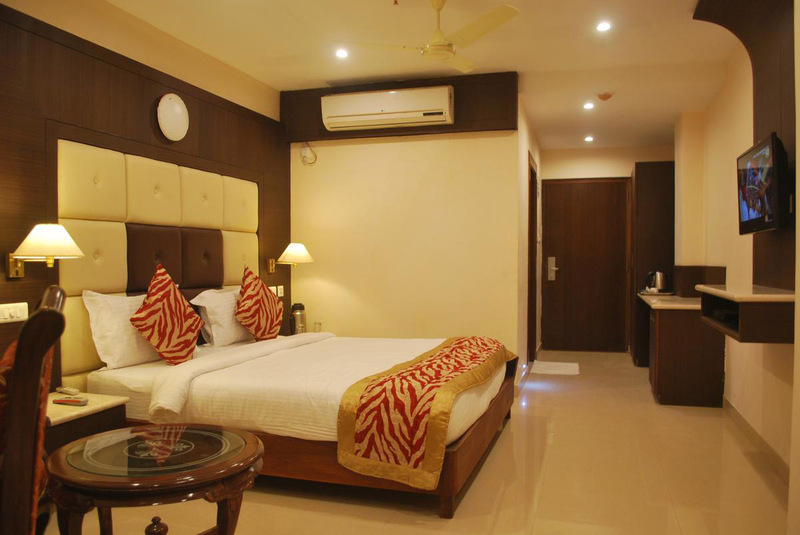 The room is having a spacious living environment with a cozy bed for luxurious stay. 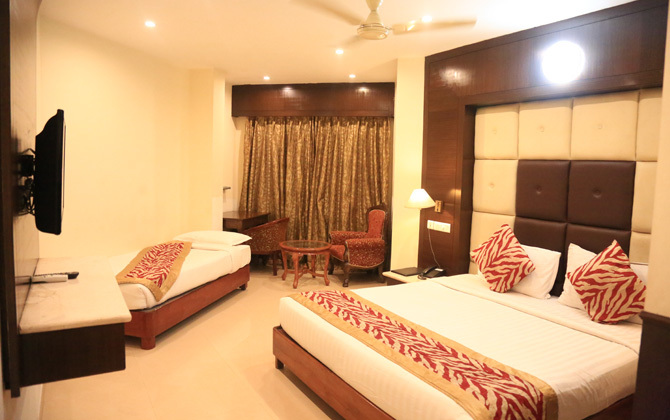 Top notch service and high class facilities are provided to the room. A Maharaja chair is an added feature to the luxurious feel. 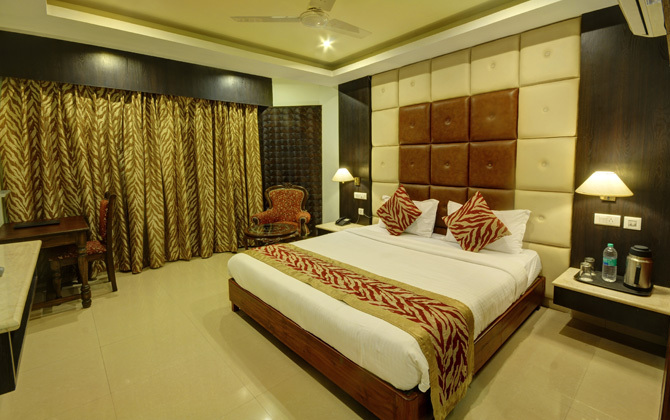 With a strong presence, minimalistic decor and an elegant living space, suite rooms make the best option for our guests. Such is its importance, that when you think of our hotel, you think of suite. All bills should be settled in cash or card before checkout. Check In prior to 7 AM will be charged from the previous day. No shows/cancellation to be intimated 24hrs prior to check In failing which one night retention charge will be applicable. All the rates are commissionable to recognised travel agent.